“I only bake this for people I like,” she jests, a cheeky smile slowly spreading across her face. Her friendly demeanour is in contrast to the stereotype image of the sullen chef we often see on cooking shows on TV. But what I love best about my new friend is the fact that she knows how to have a good laugh, mostly at herself. We’re seated at a little corner of db Bistro & Oyster Bar at the Marina Bay Sands, Singapore, which was opened by celebrity French chef and restauranteur Daniel Boulud in December 2010. It’s his only Asian dining outlet and we’re fortunate to have secured the cosy seat away from the hustle and bustle of the usual Saturday crowd that’s slowly trickling in. The petite Sabahan, the restaurant’s executive pastry chef immediately arranges for three cups of cappuccino to be served so that we can pair it with our freshly baked madeleines. The classy black and red interior that’s accentuated with gold lights lends db Bistro & Oyster Bar a classy Parisian atmosphere. However, it is behind this classy interior and through the black doors to the inner sanctum that one can find Pan creating her delectable French pastries. “I have a degree in Applied Chemistry. I love mixing things and seeing them turn out into something different,” she answers simply on what it was that triggered her interest in baking. 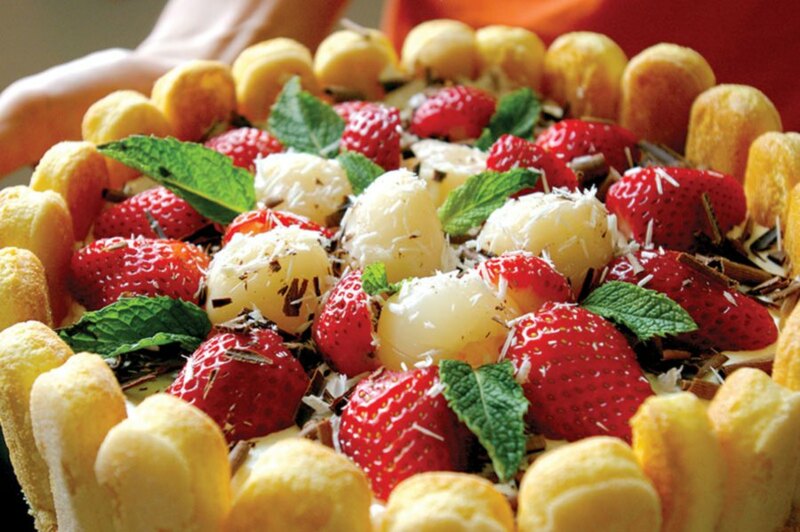 Her journey into the world of pastry world is akin to an amorous French love affair — one that she actually stumbled into and never realised would end up loving with fiery passion. “I was a pharmaceutical sales rep before I moved to the US with my husband. Honestly, I never really had any ambitions before turning 30. My parents have always been rather liberal and they’ve always allowed me to choose whatever path I wish. The only goal I had was to complete my college, which I did. After graduating, my path was a mystery,” confides Pan. It was during her time in the US, existing on her husband’s meagre research allowance that she started feeling the strains of not being able to enjoy what she loves most: eating. She began experimenting with different ingredients that she could lay her hands on, that were fresh but not too pricey. Her friends and husband became the guinea pigs to her newfound hobby. Soon, they began praising her efforts. “You know, as Asians, when people start praising, you become more encouraged and a bit proud of what you’re doing right? So, I started believing that I could do it. It was then that my husband suggested I enrol in a proper pastry school if I really wanted to make something out of my newfound hobby,” reveals Pan. After much contemplation and research, Pan eventually found herself enrolling into the French Pastry School in Chicago. The six months it took for her to work while studying were the best experience she ever had in her life. “It was a big decision but for the first time in over 30 years, I found passion in something,” she recalls, eyes shining. After graduating with a diploma in French pastry techniques, her love affair for French sweet treats blossomed when she began working in various pastry kitchens of high-end hotels such as the Ritz Carlton in Chicago, and the Westin Hotel and St. Regis in Atlanta. But, she confides, nothing compared to the time she worked under the tutelage of Francois Payard in New York. “I’ve always idolised Francois and had always wanted to work for him!” she exclaims. But the dismay turned to joy when she was eventually offered the job and earned her place as the only female pastry chef on the team. For close to two years, she undertook a wide range of responsibilities which saw her producing pastries for all three branches of Francois Payard’s Bakeries, FP Patisserie and even his wholesale production. 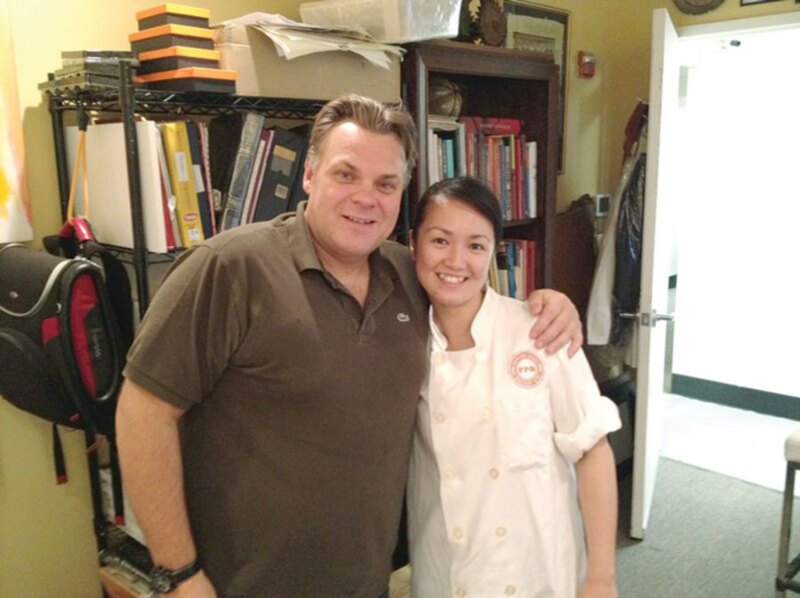 “There’s one thing I truly appreciate about the food industry and that’s our strong bond and network. It’s a chain of network that comes in handy,” affirms Pan. As they say, all good things must come to an end sometime. But there’s also the adage, ‘when one door closes, another one opens’. And ever since her return to Singapore, Pan has managed to successfully make a name for herself and cemented her place in Chef Boulud’s thriving team for the past four years. “The journey has been fun. You move from one place to another not knowing where you’ll land. A bit like a roller coaster, but ironically, I hate roller coaster rides,” admits Pan sheepishly. 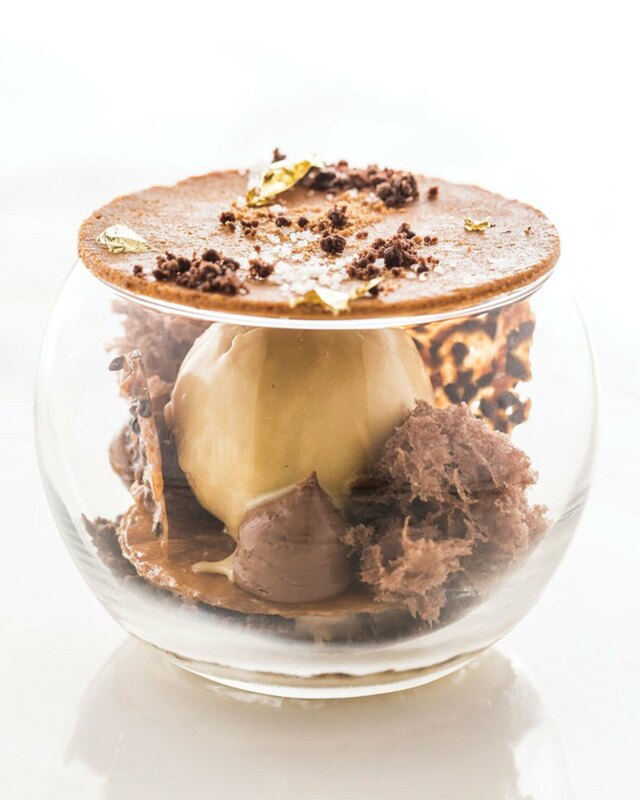 One of her most popular desserts, according to Pan, is the Coffee Napolean — a visually stunning and intriguing meal finisher that pairs dark chocolate cream with praline variations and gula Melaka ice cream. That said, she does concede that the ‘heat’ of the kitchen can be rather challenging and that it is a physically demanding job. 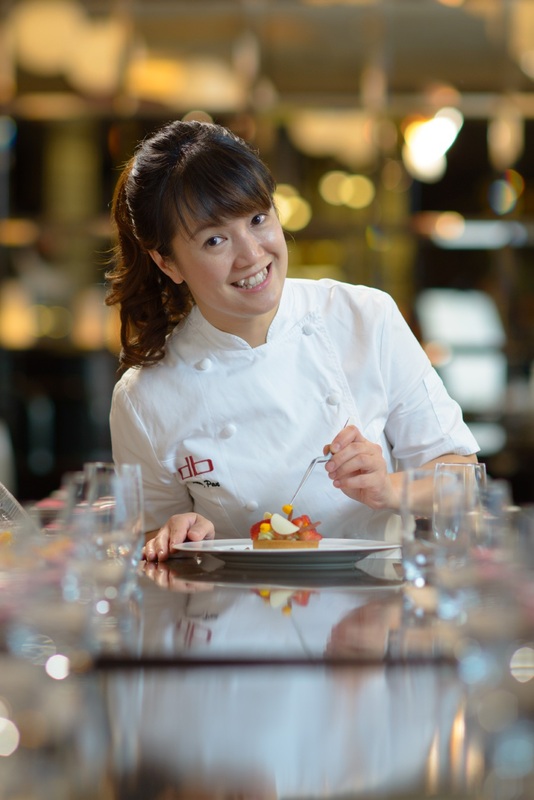 Catch Chef Mandy Pan at the db Bistro booth where she’ll be whipping up her signature French patries. Follow #EpicureanMarket on Marina Bay Sands’ Facebook, Instagram, and Twitter.